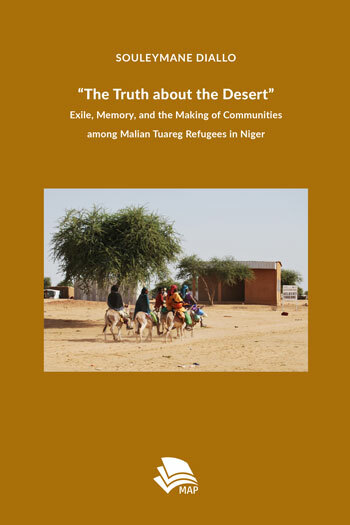 The Truth about the Desert explores the living conditions under which Tuareg refugees from northern Mali rebuild their lives in the Nigerien diaspora and how these conditions affect their self-understandings and cultural practices, established status hierarchies, and religious identity formation. The book counterbalances an earlier scholarly preoccupation with Tuareg nobility by zoning in on two inferior social status groups, the Bellah-Iklan and free-born vassals, which have been neglected in conventional accounts of Tuareg society. By offering a multi-layered analysis of social status and identity formation in the diaspora, it pleads for a more dynamic understanding of Tuareg socio-political hierarchies. Analyzing in detail how both status groups rely on moralizing labels and racial stereotyping to reformulate their own social and ethnic identity, the study highlights refugees’ aspirations and capacities to remake their imaginary and material worlds in the face of adverse and often deeply humiliating living conditions. The book provides vital insights for refugee studies and for scholarly debates on ethnicity, social identity formation, and memory politics. Souleymane Diallo earned his PhD in socio-cultural anthropology from the University of Cologne. His research interests include forceful migrations and memory politics; Islam, spiritual authority, and power in the Sahara; and the theory and practice of anthropological filmmaking.